Cannulas are important medical consumables, as they come into use for injections, infusions, phlebotomy and puncturing, for example. Sterile, disposable cannulas are available in many various sizes and styles at Praxisdienst. 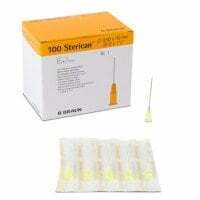 We also offer you safety needles for preventing needle stick injuries. High-quality, single-use needles for different applications. Here, you will find spinal cannulas, neonatal hypodermic needles, ultra-thin-walled cannulas and many more. 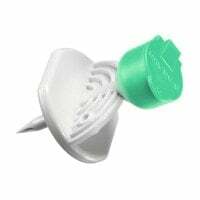 Here, you can order dispensing pins for multiple withdrawals from storage bottles as well as transfer spikes for mixing medicines and solutions. Here, you will find irrigation cannulas for wound cleansing and fluid aspiration; available in a variety of sizes and models. 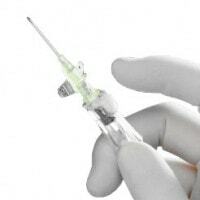 Protect yourself and your employees from needlestick injuries with the safety cannulas from B.Braun, BD and Dispomed. Butterfly needles for venipuncture are ideal for infusions and blood collection from patients with poor veins. Discover our wide selection of intravenous cannulas and catheters from B.Braun and BD, as well as compatible stylets at affordable prices. Vasofix Safety is a safety IV catheter, which minimises the risk of needle stick injuries, thanks to the safety mechanism. As soon as the cannula is pulled through the catheter connection, the safety mechanism is activated and the safety clip encloses the cannula tip. This prevents the user from being pricked by the cannula after puncture. When it comes to the cannula, one understands a hollow needle that is used in medicine for punctures, injections, infusions and blood drawing. 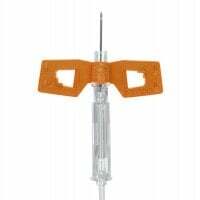 Cannulas are among the most important medical consumables and regularly come into use in surgeries and hospitals. Compatible with the most various of application styles, the user has a wide variety of cannulas in diverse designs and sizes. In our online shop, you can purchase disposable cannulas from name brand manufacturers such as B.Braun, Dispomed Witt or Sarstedt at affordable prices. A cannula consists of a hollow needle and an attached connector with which the cannula can be connected to a compatible syringe. 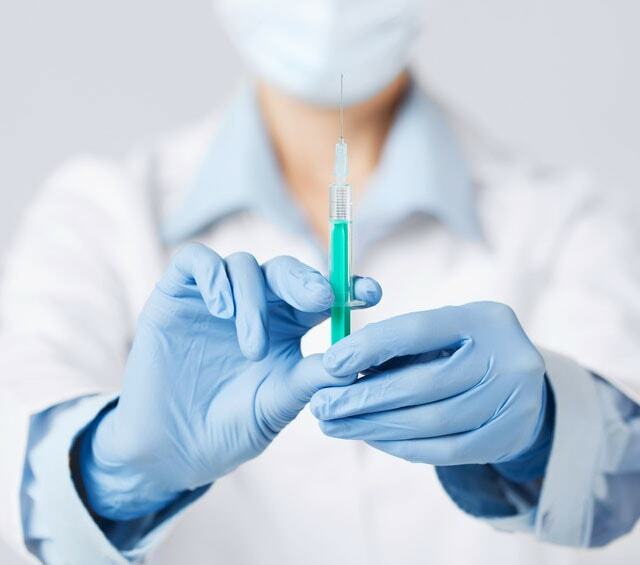 In order to ensure that cannulas and syringes from different manufacturers can be used together, the connectors are made with a so-called Luer system. The Luer cone can either be male (with an outward taper) or female ( with an inward taper)–only male and female connectors can be combined. The male Luer cone on a Luer-Lock system is equipped with threading, which provides an especially secure connection after the opposite female piece is screwed on and locked. Luer-Lock systems find use with infusion systems in which the separation of the cannula from the infusion line needs to be prevented. With Praxisdienst, you will find a large selection of injection cannulas for intravenous, intramuscular and subcutaneous injections. 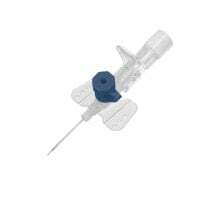 These standard cannulas especially come into use for immunisations and medication administration (e.g. insuline or local anaesthesia). Injection cannulas usually have a special, angled needle cut that keeps it from displacing the skin tissue upon entry, but rather makes a small cut. This makes the puncture less painful for the patient. The disposable cannulas are disposed of after use, ideally in a suitable sharps bin. Cannulas that are used for short-term venous punctures, e.g. for infusions, are known as venipuncture needles or, based on their shape, butterfly needles. These single-use cannulas, or disposable cannulas, consist of a hollow needle, a grip area with 2 plastic wings and a tube with a Luer connector. The tube allows one to check the correct positioning in the vein (blood return), while also making it easier to connect the cannula to the infusion set. Because IV catheters usually remain in the vein for multiple days at a time, their construction differs from common cannulas. The hollow metal needle is enclosed by a plastic catheter, which remains in the vein after proper positioning. The metal cannula is removed from the vein. 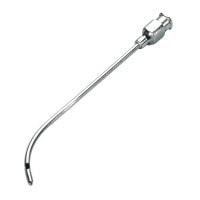 This prevents the needle tip from puncturing the vein when the patient moves. With the help of special bandages, the IV catheter can be fixed to the patient's arm or hand following a successful puncture. Safety needles are so conceived that they provide great protection against needle stick injuries. Each cannula is equipped with a safety mechanism that is activated after use and functions in such a way so that the user cannot prick his/herself with it. The needle on such a disposable cannula is enclosed by a clip, for example, and pulled back into the housing or blunted upon use. Irrigation cannulas are excellent for cleaning wounds and aspirating fluids. These blunt cannulas are available in various forms (straight/bent) and come into use in dentistry, for example. With Praxisdienst, you will find a wide range of affordable, diverse disposable cannulas such as standard cannulas, IV catheters, safety cannulas, irrigation cannulas, port cannulas, spinal cannulas and other single-use cannulas. We also offer you injection and withdrawal cannulas with which solutions can be hygienically withdrawn from storage bottles. Explore our large selection of brand name cannulas from top manufacturers like B.Braun, Sarstedt or Dispomed Witt and profit from our many products with attractive bulk purchase rates. You have questions about our cannulas or need help finding a certain product? Our customer service will happily advise you! You can reach us by telephone, email or live chat.